These are Qi Gong which I believe Wang SiFu has derived from martial arts and also the normal, daily movements we engage in. At first glance they may look to be vaguely martial because that is what they are; life-inspired movements. The drawings illustrating these movements are simple and clear but, unfortunately, there is only one or two pictures for each exercise. Good class material. 174 Pages. Slightly cartoony Illustrations. 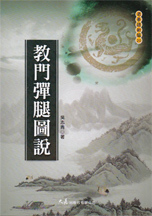 Mizong, a big style with over a hundred forms, famous throughout Northern China, is based on Shaolin but has unique features such as indeterminacy, softness, misdirection and other worthwhile goals. 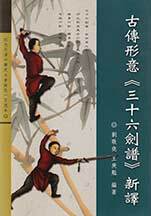 The author, Jiang Rong Jiao, is famous for his attempts to re-awaken Chinese Martial Arts. 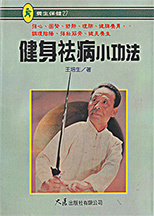 His books are considered the corner stones of "modern" martial writing. This text addresses the background and theory of a favorite style of his, Mizong. Originating in Cang Zhou, the birthplace of the best Mizong, Jiang tried to preserve what he considered the true core of the system. He discusses the theory , gives some really interesting analogies, and critques—somewhat—the Huo Yun Jia branch of the family. He also demonstrates (not old but adequate photos) a key Mizong form. On einteresting side light is that Jiang believed that Mi Zong should have been the forth "internal art' on the same shelf as Tai Chi, Bagua and Xing Yi. Resource: Joseph Crandall's translation of this book to English. It is generally accepted that the Tan Tui of the Muslim people is the original. And, to put more of an edge on it, the say goes "Hui hui Tan Tui" which means the Hui (Muslim) Tan Tui is the (Hui) best .This book shows classic photos (probably the firsty ever taken of this version of the form) of the Ten Road Tan Tui taken probably in the 1930's. Dynamic tension, pot lifting, even a special Eagle Claw Qigong, show the conditioning techniques practiced for centuries by martial Chin Na experts. If you have ever worked with someone who has trained this way you will remember the initial feeling of being caught by a dog's bite. For many years people said that you could not increase tendon strength but these exercises take the opposite position. Many types of push ups, two finger hand stands, knock yourself out (not literally). One of the most famous Tai Chi teachers in China—also an expert in Qigong, Tongbei and spear arts—shows his version of staying fit. This is the book with the type of answers should you meet a Kung Fu instructor in a park and ask if he has one simple exercise to use for staying fit. Each of these is a little gem, most of them simply a single or dual action. Martial artists will recognize many of these moves in forms, just as they should because many ideas have been extracted by Wang from forms and simplified for the general public. "LuoHan boxing is the most famous branch of Shaolin Wushu. It is one of Shaolin's Open Door forms of boxing, with foundational and progressive skills. The hand art of short striking is this branch's principle relationship to Shaolin, (Yi Jin Jing) respiratory qigong and forms with martial techniques integrated into the circle of a boxing form. At the time, this balanced approach was creative and innovative, thereby contributing a major influence . Nowadays many Shaolin masters have noted the strong influence on the art of Shaolin Kung Fu." This is a well presented version of a famous branch of Shaolin boxing, indeed to some people the oldest branch. The female demonstrator, her hair whipping from side to side even in the still shots, gives a forthright and strong interpretation of this famous old style which is known in Taiwan and in GuangZhou. This is a hybrid. The front section of the book shows nicely done photographs of the 36 Posture Sword set. This is followed by the empty hand Xing Yi set known as the Thirteen Powers. Then HunYuan standing, the equivalent of Xing Yi QiGong. All this is a “new” translation which is simply a new transcription of the moves. All this is followed by the original version of this book from the 30’s with old line drawings and hand written instructions. All of this information comes from the teachings of Li Cun Yi that master of Xing Yi and Bagua. 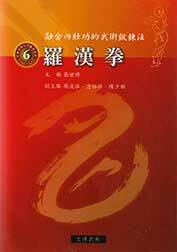 This is a rare book on the Southern Style of Dragon Style Fist. Some of this is in ENGLISH, most notably the instructions accompanying the form, and an incomplete introduction to Chow Fook. 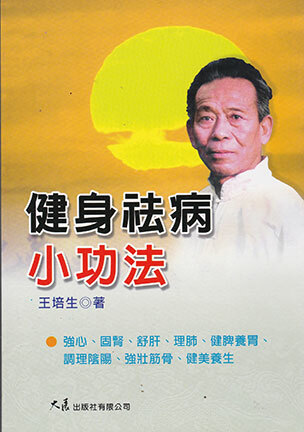 Among other sections those in Chinese cover: lineage, history of the Dragon Style, Key points and characteristics of the style, Details of the form Lung Ying Mor Kiu and information on the Founder and Lam Yiu Kwai, famous boxer. Note: Dragon Fist is also considered to be one of the foundational forms of the White Eyebrow system. This little book is unusual in that it delves into sword usage with more than just a form. It has everything from exercises to warm you up, to the basic sword movements, to mini-forms for practice, then to more esoteric exercises and, finally, partner work.